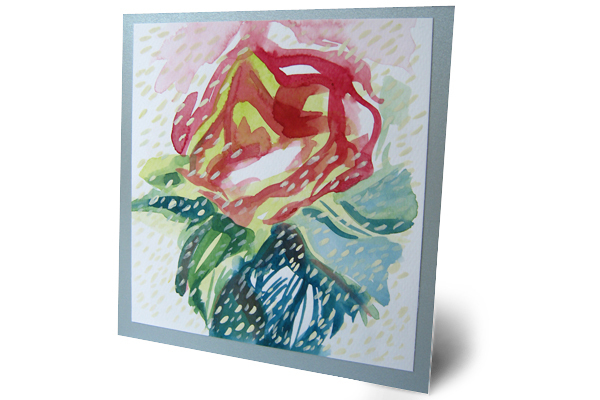 Twofold sympathy card "Ice rose" with one watercolor painted panel glued over silver spark design paper. Size folded : 134 mm x 139 mm. Accompanied with matching envelope.